Here are some of the results from our recent litter pick. 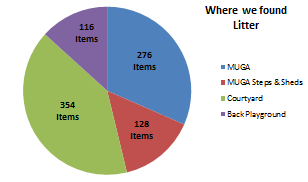 In total, we picked up 874 pieces of litter. The vast majority were sweetie wrappers (whole wrappers or parts of). 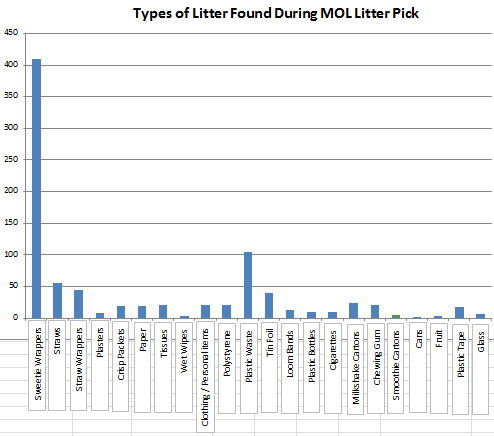 The bar graph shows how much of each type of litter we found, while the pie chart shows where we found the litter. Last Monday the MOL Eco Group led a fantastic assembly all about litter. 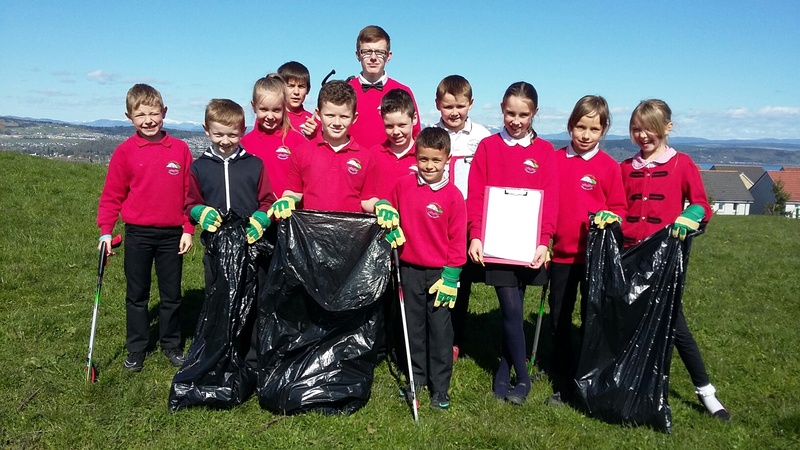 Litter is one of the areas we are focusing on as we work towards our Eco-Schools Silver Award. The first part of the assembly looked at litter in general, and some of the problems that litter causes in Scotland and around the world. In the next part of the assembly, the group shared the results of our recent litter pick which showed that sadly we do have a problem with litter at MOL. Finally in a fun quiz, the group looked at the different types of bins available in the school, and encouraged all pupils to make sure they are putting rubbish in bins – and in the right bins!